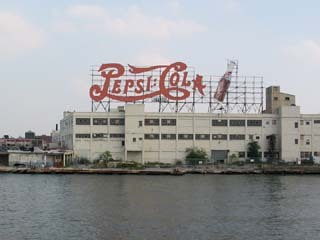 Seven apartment towers will replace Pepsi-Cola's old bottling plant on the East River in Hunters Point, Queens. 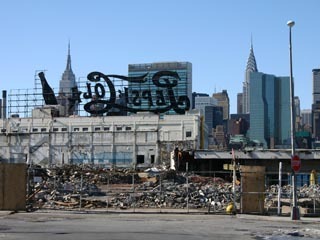 But the famous sign, visible from Manhattan, will be saved. September 2003. 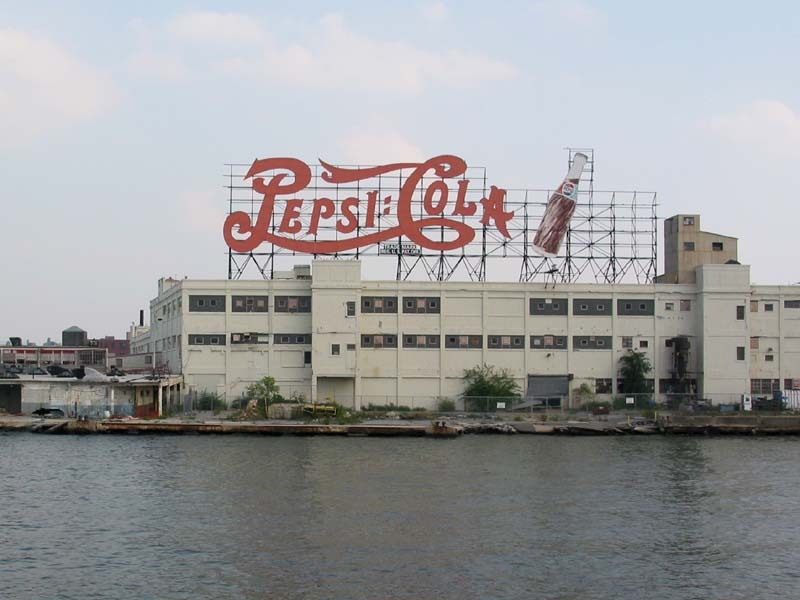 The Rockrose Development Corporation has acquired the land along the East River in Hunters Point, Queens, where Pepsi-Cola was once bottled, which is still heralded by a 120-foot-long ruby-red sign. Rockrose plans to build 3,200 apartments in seven crisply colorful towers on the 21-acre property. March 2002. 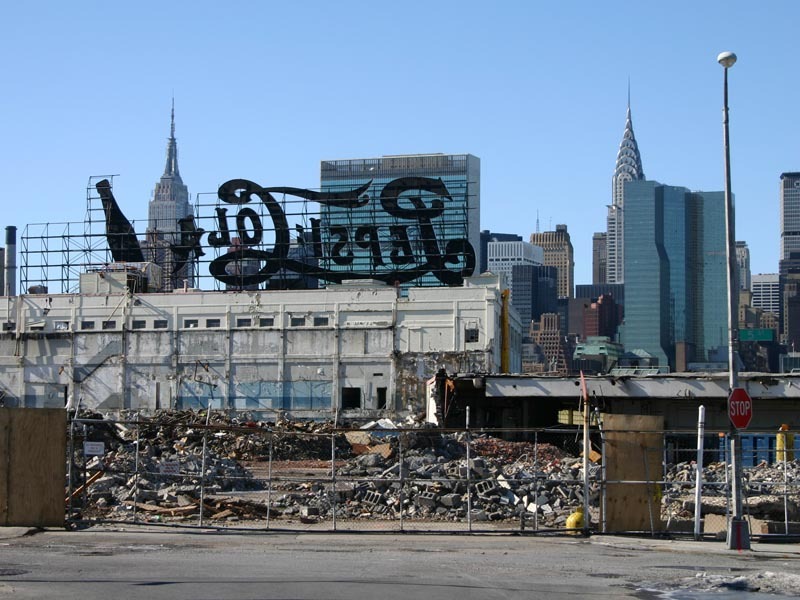 Pepsi moved its bottling operations out of Hunters Point in 1999. But it maintains the sign on its own 60-by-200-foot plot, roughly where the sign now stands. The sign is to be dismantled and moved 300 feet south. In 2005, it would be re-erected in its permanent setting. 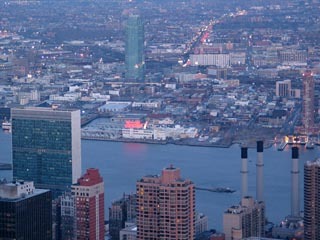 February 2004. 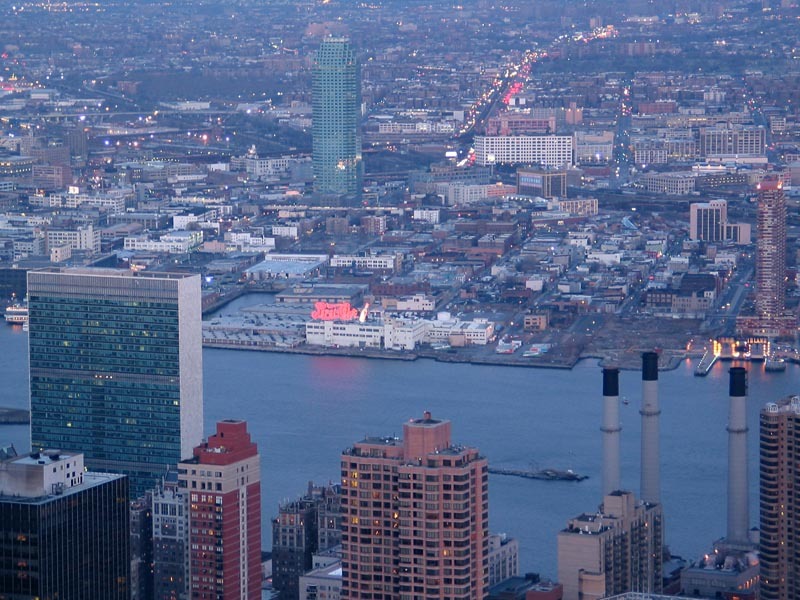 Visit Top of the Rock - observation deck in Rockefeller Center.